COMMUNITY groups, residents and a local school principal have vowed to resist plans to construct a massive incinerator near homes and schools at Hightown. The concerted community reaction comes after the North Belfast News last week revealed proposals to construct one of the largest waste facilities in Ireland. Detailed plans of what the project will entail were unveiled earlier this week by the Becon Consortium. The company, which is carrying out the work on behalf of Arc21, intend to build the incinerator at the Hightown Quarry site on the Boghill Road. Consultation with the public on the development is due to begin later this month. However, those living and working close to the proposed site remain unconvinced, citing concerns over pollution, heavy traffic and public health. A leading environmental academic at Queen’s University has also come out against the plans. For the ‘Energy from Waste’ plant to be viable there must be a constant supply of waste going into the plant. This will require dozens of lorries to make more than 100 journeys to the plant every day, close to an area that already experiences its fair share of traffic congestion. Concerns have also been raised that previous incinerators in other places have been linked to the release of dioxins and other harmful gasses. Helen Callaghan, of Mayfield Village Community Association, said that the plant would have a “detrimental health impact” on the area. Catherine Hardy, of Glengormley Community Group, said she would back any objections to the plan. “I do not feel health wise that this is a positive thing to have near a residential area. “The amount of traffic that’s going to be coming through the area is another major concern. At the moment, the town is stretched to capacity. There’s no way this town can accommodate the traffic required to make this plant viable. Maighréad Ní Chonghaile principal at Naoiscoil Éanna in Glengormley, described it as “a daunting prospect”. “We are educating young children here. There are hundreds of other children who play in those football fields every day, and I cannot imagine that something like this would be good for them. 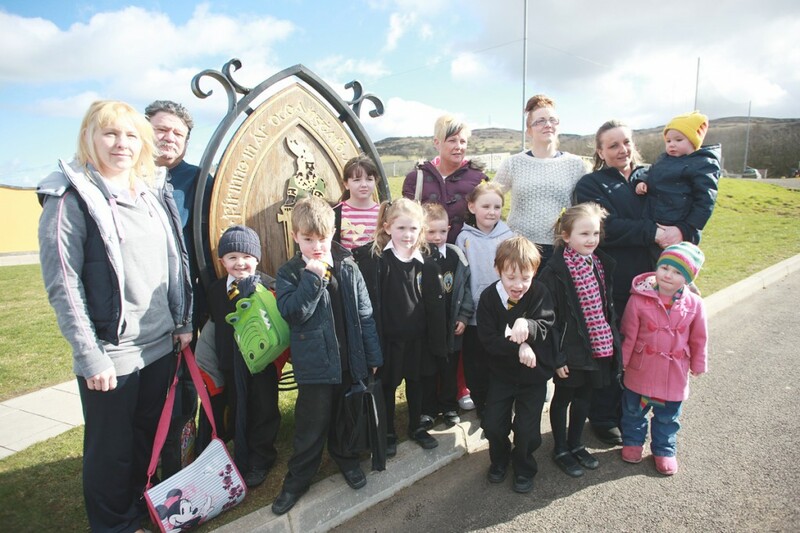 Parents of children who attend Naoiscoil Éanna also voiced their opposition to the plans. Mother-of-three, Marie Murphy, said she was “definitely not in favour” of the incinerator being built. In a statement released on Tuesday, the Becon Consortium said the quarry was “considered the best location for the new facilities as it is centrally located in the Arc21 area, and has good connections to the primary road network as well as the national electricity grid”. Queen’s University’s Dr John Barry, who is also a Green Party councillor in North Down, said his party will campaign against any incinerator being built in the area. Dr Barry also said the Public-Private Partnership (PPP) funding model which is being proposed for the facility is bad value for public money, describing it as a “typical neo-liberal project”. Becon Consortium claims the construction of the facility would provide up to 455 jobs, increase recycling levels and provide enough energy to power 30,000 homes.